Broadcast, the UK's leading national broadcast media platform and its sister operation, the Media Production Show, have agreed a key partnership with Prolific North Live that is set to deliver one of the major broadcasting events of 2017. 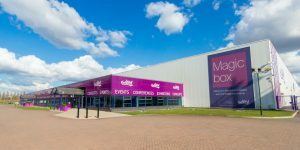 The subscription-only magazine, which is circulated to over 36,000 readers across the broadcasting industry, will lead two full days of outstanding speakers and stimulating content as part of the Broadcast and Visual Media Theatre at next year's expo, which takes place at EventCity in Trafford Park on February 15th and 16th 2017. Broadcast is planning to curate up to seven sessions a day in the 100-seat theatre, allowing several hundred delegates to engage over the two-day event. 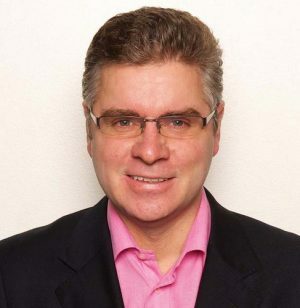 “We’re delighted to be working with Prolific North Live and running a two-day conference programme on broadcasting at the event in February," said Conor Dignam, chief executive of Broadcast publishers Media Business Insight. Also partnering for the event is Media Business Insight's event, the Media Production Show, which enjoyed a highly successful debut year in London this year at the Business Design Centre in Islington and will be moving to a larger space at Olympia next year. Dunstan Carter, event director for Prolific North Live, said the partnership was a real coup for an event that is still only in its second year. "We're delighted to welcome Broadcast and the Media Production Show to Prolific North Live. It is a further indication of the reputation that Prolific North Live has already garnered across the media industries and the Broadcast and Visual Media Theatre will be a simply unmissable event for anyone with an interest in the broadcasting sector." The lead media title for the broadcasting sector, Broadcast also has a highly successful online operation, with 160,000 active users and 500,000 page views a month. 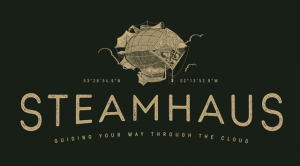 Three Event Partners - Steamhaus, Vision One and The Landing are also on board, as well as three room sponsors: Parker Software (the Storytelling & Innovation Theatre), Smoking Gun PR and the CIM (The Marketing Suite). We have one remaining Event Partner slot left. We're anticipating well over 150 exhibitors and partners together with an expanded content and theatre programme schedule over the two-day event.